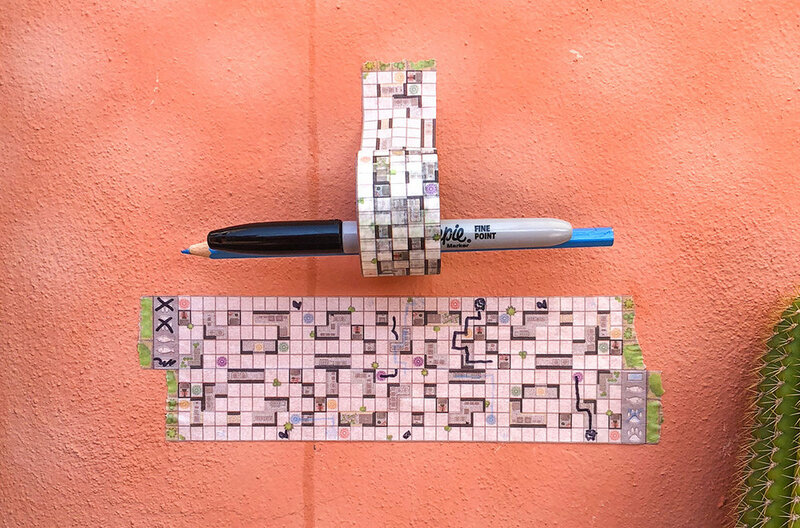 The first in a line of games played using Japanese Washi Tape, Cats is a modular experience adaptable for 2-6 players where you will play a cat in search of a fish in the city of Tokyo! Using only a writing instrument for each player, the map is created and players then take turns strategically placing fish and their cat(s). Next, alternating back and forth, you will move one of your cats on your turn in an attempt to grab a fish on the opposite side of the map and return home with it. There are two special moves in the game, allowing your cat to make a Super Amazing Jump, or dissapear into a sewer and pop out again at a new location!